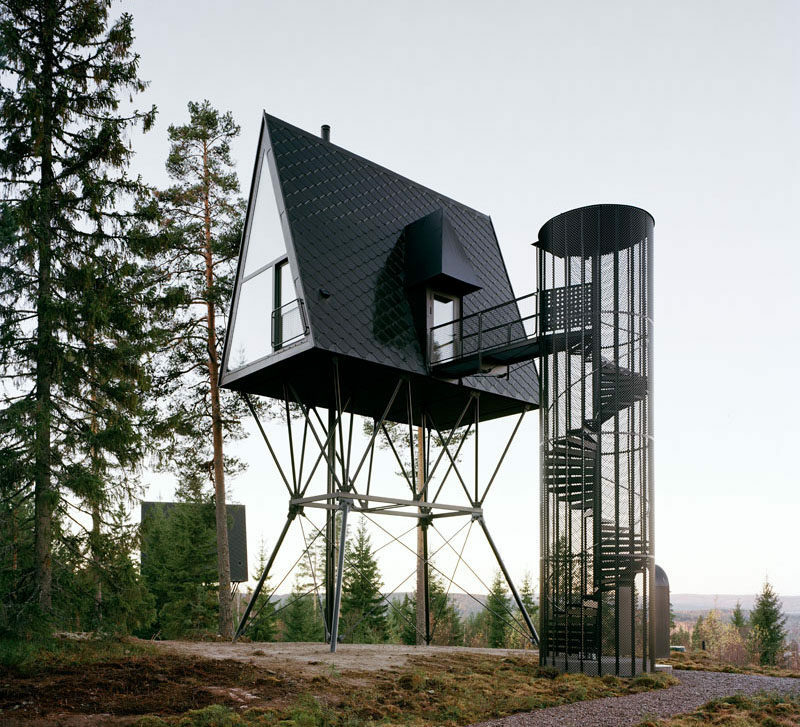 Kristian Rostad and Christine Mowinckel, a couple living on a farm in Finnskogen, Norway, wanted to create a series of modern cabins for tourists that would combine architecture and nature. 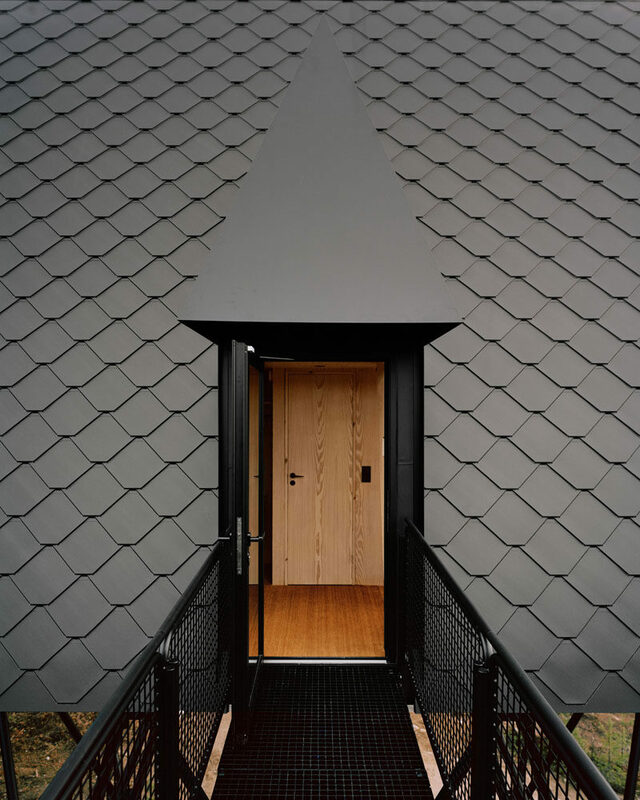 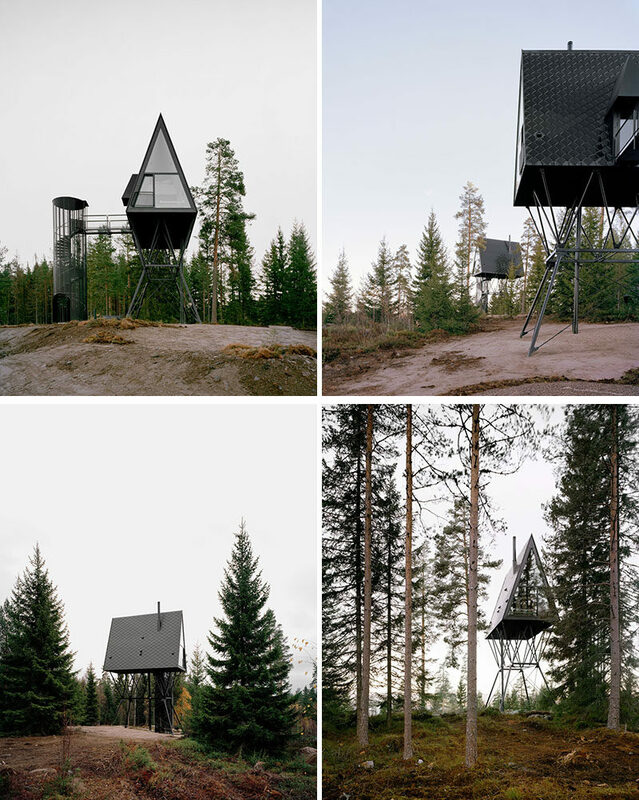 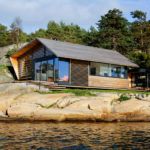 Working in collaboration with architect Espen Surnevik, the PAN Treetop Cabins were inspired by the forest, but also the design of North American A-lodges, modern power line constructions, and the houses of the Moomin characters. 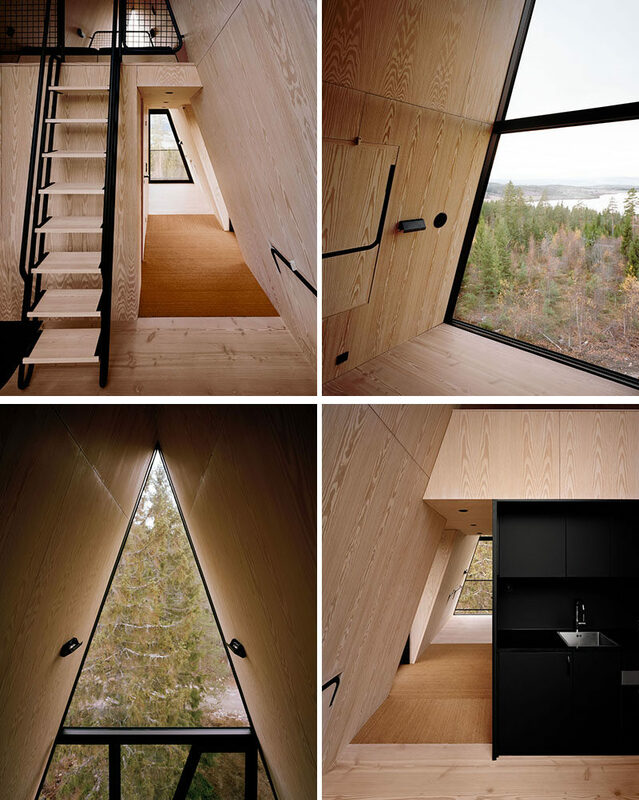 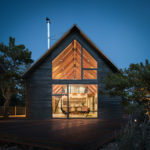 Each cabin is located 26 feet (8m) above the ground, with the angle and placement of the cabins being carefully chosen to optimize the natural light from the sun and the views of the surrounding nature. 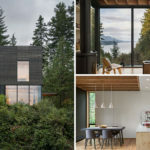 Inside, large glass facades let the natural light in, while all of the materials, interior and flooring, were all chosen specifically to adhere to sustainable principles.